After months of grey, cold weather in the UK, spring has finally arrived! 1. Small pop up tents are a great investment for shady play on beaches and in gardens. 2. It is advisable to keep very small babies out of the sun by using a pram parasol or sun shade. 3. Hats are a must in very sunny weather and your children are more likely to wear one if they see you wear one too. 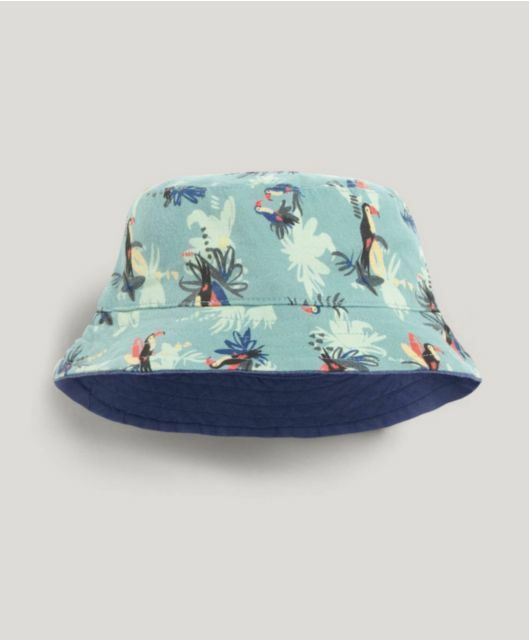 Get this adorable sun hat from Mamas & Papas and get 2% KidStart Savings back 4. A high SPF factor (30+) sun cream is vital for your children and the best time to put it on is first thing, before they get dressed, with top-ups throughout the day. 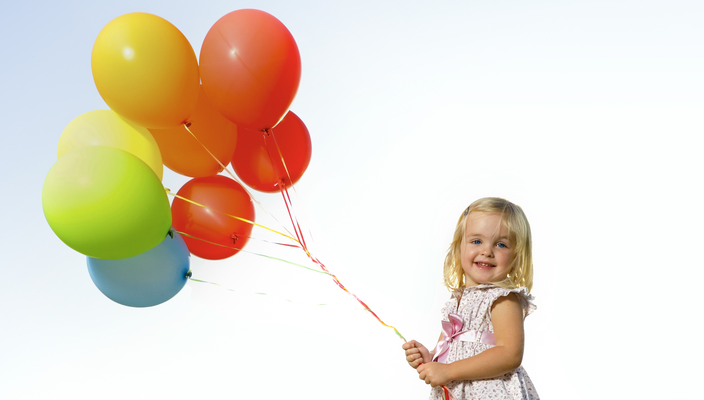 There are lots brands on the market so find one that suits your child’s skin type and remember that not all brands suit everyone’s needs. You may need to invest in different creams for different family members. 5. Remember that a small amount of sun is good for us as it helps us produce vitamin D, important for healthy bones and immunity. The important thing is to avoid sunburn and overexposure. 6. UV sunsuits for children are another great investment if you want to avoid having to constantly top-up on sun block. 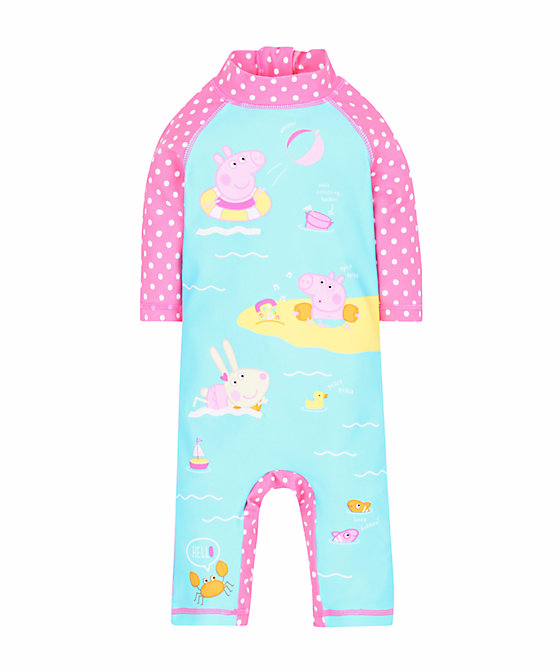 Get this Peppa Pig sunsuit from Mothercare and get 2.5% KidStart Savings back 7. A little sunshine lifts our spirits and it is thought that it helps the brain produce feel good chemicals called endorphins. So enjoy a little sunshine while it lasts! 8. If your child’s head or neck is exposed to hot sunshine for an extended period of time, they may develop sunstroke where the body cannot regulate heat properly. Children can become dehydrated quickly and may develop a high temperature, muscle cramps, rapid pulse and breathing and other symptoms of sunstroke. Make sure your child keeps hydrated by drinking lots of water and if you suspect sunstroke, seek medical attention immediately. 9. If you or your child gets sunburn, move into the shade immediately. Reduce the heat in the skin by applying cool compresses, or taking a cold shower or bath. Make sure the person with sunburn drinks lots of water and is offered a painkiller such as Calpol if needed. Aloe vera is a soothing after sun treatment for skin so do apply some if required. cases of severe sunburn should be referred to A&E. 10. Don’t forget about eye care in bright sunlight. Direct sunlight and bright light reflected on water can be damaging to the eyes if exposed for a long time, potentially causing scarring on the retina. When shopping for sunglasses, look out for the CE mark and British Standard, a statement about 100% UV protection and a UV 400 label on the glasses. Get these cute sunglasses from the Sunglasses Shop and get 2% KidStart Savings back In short, keep the Sun SMART code in mind: Spend time in the shade between 11am-3pm Make sure you never burn Aim to cover up with a t-shirt, hat and sunglasses. Remember to take extra care with children Then use factor 15+ sunscreen.